There are no guarantees in the world when it comes to real estate and investments, but some of the surest purchases include affordable-priced properties, beachfront locales and destinations that are up and coming. For investors who are ready to take advantage of all three of these important elements, Ambergris Caye rental and investment properties can be ideal. One of the most promising real estate investments on Ambergris Caye is buying property that can be used as a short-term rental for visitors to the island. This is such an appealing option thanks to the impressively growing rate of tourism on the island. Over the past decade, the secret has been slowly getting out that Ambergris Caye is a fantastic place to spend a few days, a few months or even your entire retirement. Because of that, more and more visitors are eager to spend some time on the beach in paradise. By investing in a home or condo on Ambergris Caye, you can begin generating income that sustains your investment. While rental properties can be an appealing way to increase your earning potential, many investors are also interested in real estate for the long haul. That is to say, property that is currently affordable and can be resold in the future to generate greater profits. 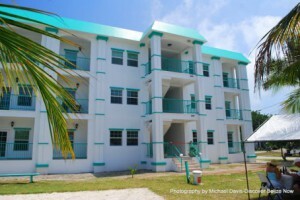 Today, real estate in Belize and in Ambergris Caye in particular is exceptionally affordable. Beachfront property won't blow your budget like it will in equally beautiful destinations, but that is likely to change. Those who invest in Ambergris Caye property today may see the value of their real estate increase dramatically in the next decade and beyond. Along with being a financially smart move, some investors look to Ambergris Caye, so that they can secure their own slice of paradise. Whether you are searching for the ultimate vacation home or a potential retirement spot, this island off the coast of Belize may well be your answer. Of course, there is more to Ambergris Caye than just the available property for sale. The island is an exciting, stunning destination that boasts beautiful beaches and a comfortable, sunny climate throughout the year. With vibrant communities like Grand Baymen offering accommodation and exceptional amenities, it is easy to see why the island is such a popular retreat. And due to financial perks and streamlined residency opportunities, Ambergris Caye is also a top pick for retirees. Ambergris Caye rental and investment properties can be a smart choice for anyone looking to increase income, buy up a piece of paradise or just prepare financially. Click here to learn more about Ambergris Caye real estate.